Rain Tree Crow is pressed on 180gram vinyl and contains a download card. 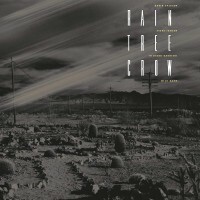 Following the deluxe vinyl release of David Sylvian’s solo albums, Brilliant Trees, Alchemy – An Index of Possibilities, Gone To Earth and Secrets of the Beehive this February, 29th March will see the release of the cult classic, 1991 album, Rain Tree Crow. Featuring David Sylvian, Steve Jansen, Richard Barbieri and Mick Karn, Rain Tree Crow also features contributions from Bill Nelson, Phil Palmer and Michael Brook. The majority of the material on the album grew out of group improvisations. There were no pre-rehearsals; the improvisation took place in the recording studio and much of the finished work contains original elements of those initial performances.